Norway has been a hotbed of electronic music based talent, be it A-HA, RÖYKSOPP, ANNIE or SUSANNE SUNDFØR. 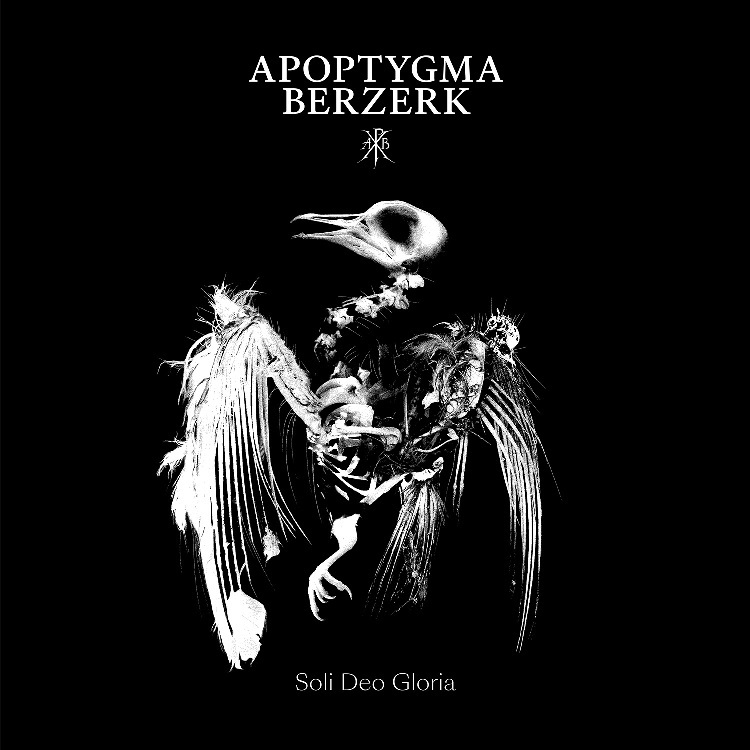 One act with a heavier slant that can be added to that illustrious group is APOPTYGMA BERZERK who recently celebrated the 25th anniversary of their debut album ‘Soli Deo Gloria’ with a CD and double vinyl reissue remastered from its original tapes. 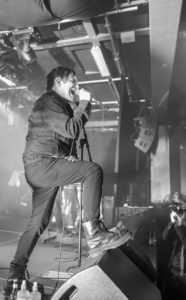 Essentially the solo artistic vehicle of Stephan Groth, APOPTYGMA BERZERK have straddled EBM, synthpop, futurepop, goth and alternative rock. With biases depending on the Danish born singer and musician’s creative mindset, 2016’s ‘Exit Popularity Contest’ album caught many fans by surprise with its classic synth instrumental content. 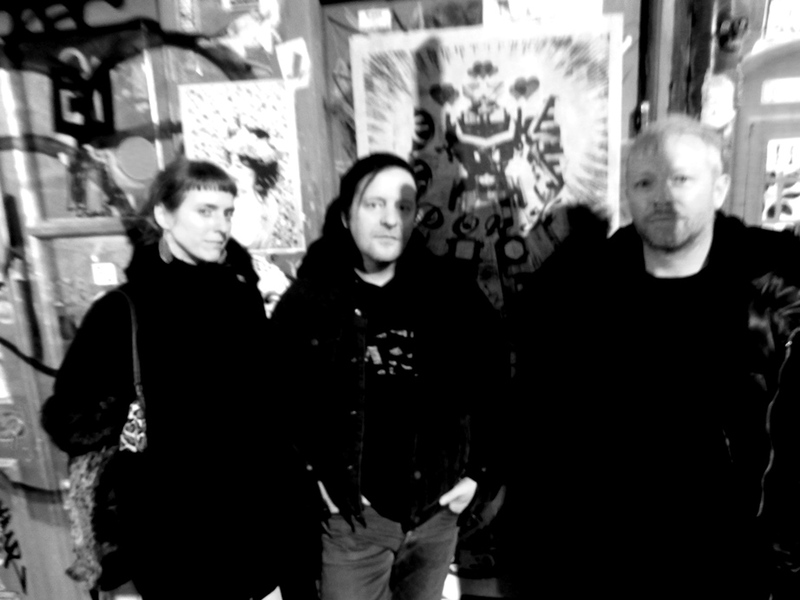 No stranger to the cover versions, Groth’s sources have been eclectic to say the least, ranging from KIM WILDE to THE HOUSE OF LOVE with OMD and KRAFTWERK caught in between. 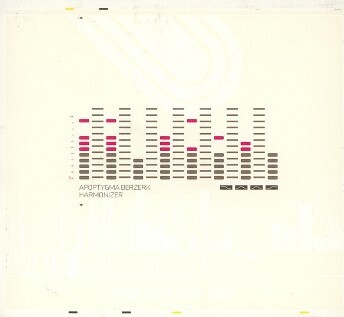 While a cult proposition in the UK, APOPTYGMA BERZERK have been favourites on the live circuit in Europe, North America, South America and Australia. 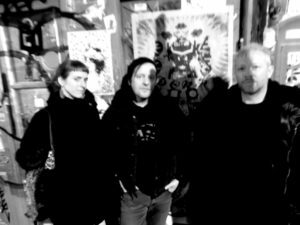 This summer, they embark on live dates in Germany and their Norwegian homeland with the UK’s VILE ELECTRODES opening at selected shows. 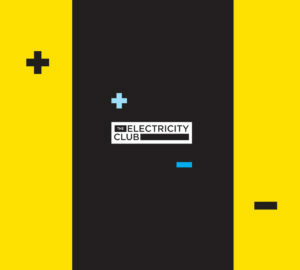 During on a short visit to London, The Electricity Club caught up with Stephan Groth over brunch for an extensive career spanning chat. You celebrated the 25th anniversary of your debut album ‘Soli Deo Gloria’ in 2018, how do you look back on it now? Normally I don’t like to focus on my older stuff, I prefer to move on and concentrate on new adventures. I don’t like to look back, but on this album, it has really been fun. With the 25th anniversary, we remastered the album from the original tapes rather than from an old already mastered CD and I went to find my old tapes and files but most of it was ruined, my old floppy disc were moulded so many files were lost, so we had to recreate lots of things. Going through those old files, demos, DATs with no song titles and listening, looking for bonus tracks, it was quite fun. 25 years is a pretty long time and I have to say, it’s a really good album…at the time I was young and hungry and had no clue what I was doing, but everything was fun. We wanted to conquer the world and it was a fun period of my life where I was super creative and it was exciting. You can really tell when you listen to it. On the technology side, a lot has happened in the last 25 years so we were working with very limited equipment…we only had one synth, one sampler, one drum machine and we had to borrow synths that were only available in the studio, working in a totally different way to now. From all the limitations we had, it’s actually quite impressive what we got out of it. Today’s music with the software and all that where every 16 year old producer has everything available on his laptop, back in the day we had to use our imagination way more and be more creative than today. It’s been a long ride but it doesn’t seem like that. What songs particularly still stand up for you today? 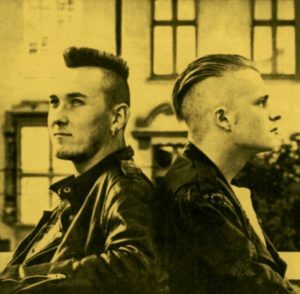 ‘Burning Heretic’ and ‘Backdraft’ are probably the best two songs from the album, they’ve both become club classics in Germany and the US, and they have stood the test of time. Who were APOP’s likes and influences? I had more of an 80s synthpop taste, although I loved THE VELVET UNDERGROUND. But I was getting into the harder style of electronic music like THE INVINCIBLE SPIRIT, FRONT 242 and NITZER EBB in the period 1987-1989. I liked German stuff such as releases by the Music Research and Zoth Ommog label, but I was never really into the American or Canadian stuff except PSYCHE and a little bit of FRONT LINE ASSEMBLY. Was ‘Pretty Hate Machine’ by NINE INCH NAILS one? Not really, it never really made it big in the electronic scene in Norway. I considered NIN an alternative rock act, not an electronic band and therefore probably wasn’t that interested in them. It’s a great album but something that I picked up on later. Technologically what were you using then? Samplers were so expensive at the time, 13 bit and mono, I maxed out the memory which was like, a megabyte! You couldn’t just fill up the RAM with (hundreds of) samples, you really had to work on truncating the samples and making them as small as possible to fit the memory. Today if you sample an analogue synth, you can sample every key on the keyboard… back then, there wasn’t enough memory for that and you would sample one sound like say, a middle C which would sound great but it would get worse and worse and when you want down one octave, it would sound like sh*t. This old school way of sampling has become popular again the last few years. It is a very distinct sound that is hard to re-create on modern equipment. But we had to use it like that and you can hear it in the songwriting, certain chords and the basslines, they were made according to sounds that were still “ok-sounding”. It made a limitation chord-wise since we could only use a few notes up or down from the main sample key. It was a limited way to work but of course. After we made the demos at home on an Atari running either Cubase or Pro24 with 24 MIDI tracks which was insane, we went to the studio and recorded the album using the possibilities that were available. We had to be very clever and invent lots of work-arounds to make everything sound right. How have your composition and production methods changed over the years from ‘Soli Deo Gloria’ to ‘Exit Popularity Contest’? Back then, I had no clue what I was doing. I grew up in a musical family, my father was in a rock band and my mum was a DJ so I think I had some good genes. I never went to music school or got any professional training, but with 25 years of experience, you pick up a lot of stuff. Now I have a big studio compared with before. The complexity is way ahead working with hundreds of tracks, dependent on the song, although on ‘Exit Popularity Contest’, some of the stuff only uses two tracks. Back in 1993, I had no idea what I’m doing now would even be possible. The technology has just rocketed. So what you’ve referring to is like you’ve been missing the “air” in your music? The dynamic is very important, especially if you are working with drums and grooves, so for years we had the loudness war going on in mastering which I thought ruined music big time. That is also the reason why we chose to remaster ‘Soli Deo Gloria’ from the original tapes, we didn’t want to use the already compressed files and then compress them even more for the reissue. We wanted to get it all back dynamically but with brand new mastering using today’s technology. Was it a statement despite ‘Exit Popularity Contest’ being an instrumental album that “this is me!”? I just put the riff in there and thought “wow, this is perfect”, it was a way of connecting the old with new to make it full circle. You’ve brought things up to date with remixes of tracks from ‘Soli Deo Gloria’ which you will issue as a double vinyl album ‘SDGXXV’, but you like to remix too, with recent reinterpretations on PAGE, MACHINISTA and PETER HEPPNER? I’ve been remixing a lot of acts over the years, it’s a way of staying on top of the technical things and to stay creative when you are not doing anything else and it’s great fun. I get asked a lot but I don’t have the time to do all of them so I have to be a bit picky. I do it if there’s good money involved or if it’s a track I can really hear something… and instantly connect to it. Like with MACHINSTA, it was a remix that happened because I wanted to include the song in my DJ sets. I asked if they had a more synthpop remix but they didn’t, they had one but it didn’t fit into my style. So they sent me the stems and I made a version and it turned out great. PETER HEPPNER is huge in Germany, that was his label requesting a dance remix for his quadruple album that would work in the darker electro scene. So I wanted to make something that the old WOLFSHEIM fans would like, I found out who some of the other remixers were so I decided not to do it in a modern pop way but to do it in a more dark Italo HI-NRG style. I just made a groove for his legendary voice and it ended up becoming the shortest remix I’ve ever made and very to the point, in a “don’t bore us, let’s get to the chorus” way. ‘Kathy’s Song’ from 2000 is probably still APOP’s most known track, which came in remixes as diverse as Ferry Corsten and VNV NATION… how do you feel about all that now? It was on so many formats, it was an underground club hit and the most important track in my catalogue, it benefitted us big time. People love it when we play it live and it’s a great pop song. What I did with the “robot” vocals was pretty clever, there had never really been a chorus that was sung by a machine to my knowledge. You`ll hear machines sing little bits and pieces in many electronic songs but never the main chorus. The reason it’s called ‘Kathy’s Song’ is because it’s from the Mac OS voice called Kathy Macintosh, I did text to speech so my computer generated words, so it was never a vocal sample, the chorus is 100% computer generated. In 2002, there was a second Duet Version of ‘Unicorn’ with Claudia Brücken, how did that come about? It was an idea from my then-manager Markus Hartmann, he thought it would be good to have duet or guest appearance thing on the ‘Harmonizer’ album. It was a nod in the direction of German 80s synthpop, so to me it was sending a message to the people who know that we are on the right channel here, even though the music on the album is more 90s than 80s; ‘Something I Should Know’ is very 80s but the rest of the record is not like that. It was Paul Humphreys of OMD doing the recording of Claudia’s vocals so I was quite starstruck by that! I loved her vocals and at the time, she hadn’t recorded in years so she was sort of brought out of oblivion. Throughout the APOP albums, spiritualism is probably the most predominant feature? It’s very important, I grew up in a Christian home so religion and spirituality has totally been normal and was talked about every day. Not only is it important in my own life, but it’s very interesting and abstract, just like art can be. Integrating this spiritual dimension into art makes total sense to me. A lot of people who were into electronic music for the sake of electronic music, they lost interest in APOP which was totally understandable. But the die-hard APOP fans, they got it… maybe it’s not their favourite album even though it’s by far our biggest record. There was still a clear and typical APOP thread in all the songs and in the melodies. There were lots of guitar and on some tracks also acoustic drums, but also lots of synths. There was definitely a change of attitude and style, and I totally stopped using digital synths and “futurepop” elements, I think that was what freaked so many people out. In 2005 I got bored with dance music, so making a record aimed at the dancefloor was not something that I wanted to do. So I thought about making something different, a more rock influenced album, although it’s not at all a typical “rock” album because it is still very electronic. 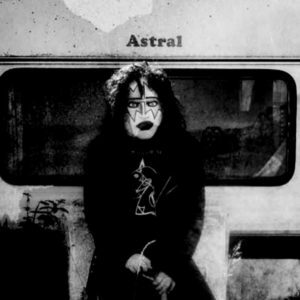 But bringing in all the guitars and drums, electronic bands going rock was unusual at the time and a different animal. I did it and it worked out, it was a great success and I moved on from there. A lot of people who mostly liked electronic music took a break from APOP at that point, but we recruited a lot of new people, and it was important that we got a younger generation in there to prolong my career. With the ‘Soli Deo Gloria’ reissue and ‘SDGXXV’ remixes, I’m sure that a lot of the old-school APOP fans are coming back. I like to be challenged, a lot of people just want me to make a new ‘Welcome To Earth’ every year, that’s never going to happen. Before all this, after the ‘Harmonizer’ album, we toured Europe and the US for a whole year. I was totally worn out, sick and tired of music, sick and tired of APOP, and even electronic music. I needed a break to figure out why I started making music in the first place, I needed a good reason to get back in the saddle. The way I got back into music and particularly electronic music was going back to my attic and dusting off my old analogue synths. During the ‘Harmonizer’ era, I was mostly working with plug-ins and VST instruments. That was great fun when it was all brand new and exciting, but I soon lost interest. I did a session there and came back to those “real” sounds and then it happened… it was fun to work in the studio again. So that was how FAIRLIGHT CHILDREN came into being, it was this primitive naïve thing. I thought “I’m just going to write an album here” to get back in business. It was quite an important thing to help me get back into the APOP world and to rediscover my love for real instruments. I grew up liking electro and hip-hop which is actually how I discovered KRAFTWERK… through Arthur Baker and ‘Planet Rock’. I like a good melody, I like good vocals, I have ears for a good pop song. If it’s made with guitars or made with electronics, it doesn’t matter. A good song is a good song. Depending on what the goal is, we talked about having fun but it does not seem like DEPECHE MODE are having fun. I think a good idea would be to get back to having fun again, like the title of that old B-side. For those of us who are really interested in electronic music, we have outgrown them, DEPECHE MODE never really developed that much… OK they added some drums and had some great producers but they’ve not really been that experimental lately. And to me, experimenting is where the fun is… like on ‘Exit Popularity Contest’, now, that is fun! My idea with ‘Exit Popularity Contest’ was like, you know when eating sushi, you have the ginger to clean the palette… this was me cleaning my palette. So I thought ok, let’s start all over again. After putting out so many albums, the expectations from fans rise every time and that freaks me out. I don’t want to do what is expected of me. It is my duty as a creative artist to bring new and exciting things to my fans, not repeating myself. I had not put out an album for years, and I felt that I needed to wake people up. Unfortunately today, for most bands, just putting out a new album is not enough to wake anybody up, people are busy with their lives and Facebook and other social media is eating up many peoples time. There is so much music being released every day, we are being totally flooded. Releasing ‘Exit Popularity Contest’ got APOP a lot of attention, but I didn’t wake as many people up as I’d hoped for. Actually we woke up a lot of the people we wanted to wake up! So was your idea with the narrative, UFOs etc, did you feel you needed more imagination for, rather than just stamp lyrics to tell the story, or was it more to take the pressure off yourself artistically? It was both… I think one of the reason people do those instrumental albums is to have a break, like doing remixes. You’re still being creative but it’s not as demanding and sucking all of your energy out like writing an album. Making an instrumental is more playful and abstract, so you can add more humour. It’s what art and music is supposed to be, adults playing really. The story behind ‘Exit Popularity Contest’ was loosely based on my own life, and personal stuff I was going through at the time. We then spiced it up with some conspiracy theories and elements from Lars von Trier’s brilliant ‘The Kingdom’ series. You’re partial to the occasional cover version like OMD’s ‘Electricity’ and KRAFTWERK’s ‘Ohm Sweet Ohm’ to more recently PETER SCHILLING’s ‘Major Tom’, what are your artistic or personal motivations with these? ‘Major Tom’ is a great song, insanely catchy and a very important song for me personally, as were all the other cover versions that we did, there’s an educational thing going on like a hint to my background. If people want to understand APOP, it is crucial to know my roots and what kind of music inspired me to make music. We put out a compilation in 2006 with many of our cover-versions called ‘Sonic Diary’. I figured out I needed to connect to this audience but how was I going to do that? I had to do a song that all of them will know, a song that would tell people about who APOPTYGMA BERZERK are and what we are doing without making a speech. The original is in German but I don’t speak it, so we had to the English version which was a huge hit in the US. So what we did and it worked out brilliant, was we had 15,000 people screaming along… we were singing it in English but they didn’t care and sang the chorus in German which was amazing! So we just stopped singing the choruses after a while and let the crowd go nuts! That version was made just for that tour, but when it was over, the emails started coming and asking us to release ‘Major Tom’. I didn’t really want to do it, but there was demand and it was quite successful, we still play it live sometimes now and then, people love it with half the crowd singing in German and half in English. Although it’s a German song, it’s not actually very German sounding, it’s much more English I would say. Looking back, your proudest achievement with APOP? There’s been many but the Steve Jobs email was pretty cool. We also performed on the German ‘Top Of The Pops’ for a cover version of ‘Shine On’ by THE HOUSE OF LOVE which was a Top10 hit there. We performed before TOKIO HOTEL, have you heard of them? What next for APOP, tours tours tours? And VILE ELECTRODES are on board with you too? I’m doing shows in Germany, Belgium and Norway in the summer, I checked a few live clips of VILE ELECTRODES and their sound is so cool. Her voice is very true and real, and the analogue synth sounds are amazing, so we invited them to open for us. It’s very important to have a whole evening that makes sense and which will tell a story. We’re going to release the ‘SDGXXV’ remix album in March, and I’m working on a regular APOP album with vocals as well as a follow-up to ‘Exit Popularity Contest’, so lots of stuff.